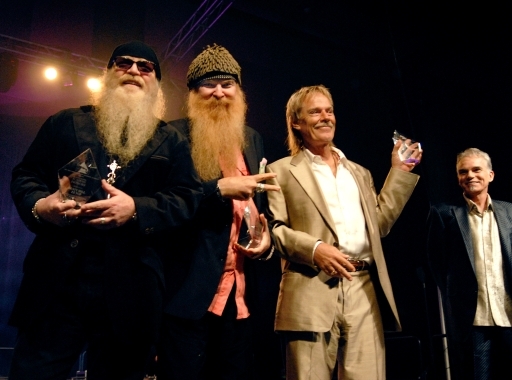 The Texas Chapter of the Recording Academy presented a lifetime achievement award to ZZ Top, seen here acknowledging applause from the crowd. In all my years of shooting music, I’ve never had the chance to photograph these guys performing as ZZ Top. So, here’s the next best thing; a shot of them being honored by their local peers. That’s Billy Bob Thornton on the right, serving as presenter.